One way to discover what a candidate’s priorities would be if they were to take office is to see who is supporting their election. This year, it is hard to know exactly who is funding the Republicans, because they are being supported by numerous outside organizations that are spending tens of millions of dollars but that do not have to report where they are getting that money from. What is clear is that eight misleadingly-named corporate front groups are planning to spend more than $250 million this election cycle, with almost all of it devoted to defeating Democrats and electing Republicans. North Coast conservation groups hope a decision to phase out native forest logging in Tasmania will inspire change in New South Wales. The North East Forest Alliance says hopefully a similar deal will be struck in New South Wales. Alliance spokeswoman Susie Russell says it is possible the state’s forest industry and unions will begin discussions in the next month. “Obviously it’s taken some months for those discussions to reach an in principle agreement in Tasmania and it will probably be the same in NSW,” she said. via RealClearPolitics – The Wave and the Reality. 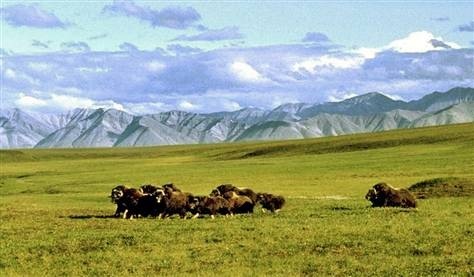 WASHINGTON — For a quarter-century, environmentalists have succeeded in blocking efforts to drill for oil in what they consider a pristine, cherished patch of tundra in the Arctic National Wildlife Refuge in Alaska. But with sky-high fuel prices and a wider Republican majority in Congress, their long fight to keep oil companies out of the refuge looked to be in trouble. Then they got some help from an unexpected place: House Republicans angry over cuts to social programs. House leaders put off plans Thursday to vote on the budget-cutting package because of opposition to issues unrelated to the Alaska refuge — deep cuts in Medicaid, food stamps and student loans. The leaders earlier were forced to jettison the Alaska drilling provision from the bill after a group of GOP moderates said they would not vote for the budget if ANWR were included. At the world premiere of the new Range Rover Evoque 3d (see here) at the Paris Motor Show today, Land Rover re-confirmed it will be producing a more practical, five-door version of its new compact SUV model and released the first official photo of the vehicle before its official reveal later this year. The British automaker did not release any other details on the SUV but it is safe to assume that the 5-door variant will be offered with the same four-cylinder engines announced for the 3-door model, including a 2.2-liter turbo diesel with 150HP and 190HP derivatives, and a 2.0-liter turbocharged gasoline producing 240HP. Both diesel and petrol engines are offered with an updated six-speed auto transmission, while the Evoque will be the first Range Rover model to be available in both four-wheel-drive and front-wheel-drive versions. Sales of both the three- and five-door versions of the Evoque are expected to start next summer.